Long before those early months of motherhood when I was trying to figure out how to nurse Baby Girl, how to change her diaper, how to swaddle her, and how to get the child to nap in her crib, I knew she needed to be inoculated against the self-hatred that might potentially plague her. 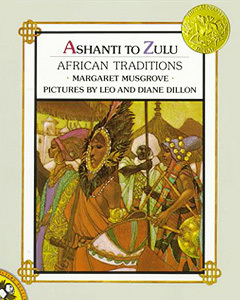 So before my husband and I even chose her name, the inoculation started when we decided to buy her African and African American children’s books. I was 11 weeks pregnant when I began our collection with a handful of books from Ashay by the Bay owned by Deborah Day, a vendor at the Ashby Flea Market in Berkeley. 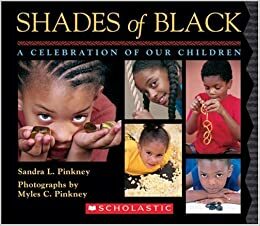 By the time Baby Girl was born, our collection included books like Shades of Black—A Celebration of Our Children, I Like Myself, Please, Baby, Please, and Book of Black Heroes: Scientists, Healers, and Inventors. These were among several books we read to her while she was still in the womb. Within just a few years, our book collection grew to include Abiyoyo, Anansi the Spider—A Tale from the Ashanti, Ashanti to Zulu—African Traditions, Barack Obama: Son of Promise, Child of Hope, Corduroy, Cornrows, Fish for the Grand Lady, God’s Dream, Grandpa’s Visit, Hair Dance, Jazzy Miz Mozetta, Letter to Benjamin Banneker, Mandela: From the Life of the South African Statesman, Mansa Musa, The Moon Ring, Mufaro’s Beautiful Daughters, My Very Breast Friend, The Sound of Kwanzaa, Thunder Rose, Wangari’s Trees of Peace, Welcome to Zanzibar Road, When the Beat was Born—DJ Kool Herc and the Creation of Hip Hop, and Young Pele: Soccer’s First Star. Our collection also includes children’s stories of from other ethnic groups—from within and outside of Baby Girl’s multiethnic mosaic—ethnic groups that are routinely marginalized in a white-dominated society. We’ve found that this gives her a broader understanding of the similarities and differences between their/our experiences and helps her develop a certain level of solidarity and kinship with people of various ethnic backgrounds. I recommend you begin your collection as soon as you arrive. You’ll have a hard time finding these books in major bookstores like Barnes and Nobles or even some of the independent bookstores like Pegasus Books and Half Price Books. If you land near 38º N, 122º W, Ashay by the Bay in Berkeley, Marcus Books Store in Oakland, and Ethnic Notions in American Canyon are great places to start. If you land near 34º N, 118º W, visit Eso Won Books in Los Angeles. You can also order books online at www.ashaybythebay.com, www.marcusbookstores.com and www.esowonbookstore.com. When in doubt, you can always try www.amazon.com too. If your child is learning to read and do basic math, I recommend www.starfall.com. I was surprised to find that compared to other reading/math websites and LeapPad learning game cartridges, the majority of the images of children used in Starfall were Black and Brown children. So, so rare! What a treasure! Yes, I am excited, and yet I am saddened by the thought that I am elated to find crumbs to satisfy my hunger. In any case, as your child advances and begins reading chapter books, look for the Keena Ford, Sage Carrington, and Kid Caramel series. So far we’ve read Sage Carrington—Eighth Grade Science Sleuth, Keena Ford and the Field Trip Mix-up, Keena Ford and the Secret Journal Mix-Up, and Kid Caramel—Case of the Missing Ankh. Sometimes, we read them to our daughter before bedtime. Other times, we take turns reading paragraphs during the day, so she can have the chance to practice reading beyond her current grade level. I hope your children love these books as much as Baby Girl does. Final note. In kindergarten, Baby Girl brought home Christmas in Camelot and was talking a lot about some child named Junie B. Jones. When I saw the covers of these books, I thought, Damn, it’s a good thing we have all these Black books at home! I wonder how many more books it’ll take to outweigh the flood of white books she’ll read at school. Then, I began to question why my child must wait until she comes home before she hears and reads stories that reflect herself and her ancestors. Our books need to be in school libraries, on classroom bookshelves, and integrated into the school curriculum for all students to benefit from. Many of us on Earth have been trying to make this a reality for over a century. There have been modest successes and much struggle. Dare systems on Earth wait for the intergalactic unification of Black people before it is forced to make the structural change that white supremacy dreads?! Perhaps, that’s what it will take. I don’t know. If so, then I hope we can rely on your help upon your arrival. For now, just be safe and take care. Before I met my woman of the day, I ran the gamut of Books, Publishers, and Journals at the AWP (American Writers and Publishers Conference and Bookfair) located in Portland Oregon. My purpose for attending the AWP was to meet my publisher. But when I got to her booth, the number of which had been sent to me, she was not there. I was happy, though, that she is so conscientious and on target in getting her books out. And I figured there was some reason why I plunked down the money to attend that conference and got myself going in the morning to drive to Portland and stand in a long line to be registered. Until a few months ago, I wouldn’t have known what a meniscus was. When mine folded over and tore into bits it gave me a good reason to learn about it. The meniscus is the cartridge pad in the joint of the knee. Maybe they sit too long at a computer, abruptly stand, and whamo, a crunch. I don’t know what causes that cartledge to slip from its joint, sometimes it’s an athletic injury, sometimes age, sometimes arthritis, maybe a lightning bolt from the sky. I love the creativity of using something that obscure to get attention. Another said to give them a magic act—I don’t remember what they would pay in return. I so believed in the author, Janet Stickmon’s, premise, “If black parents from otter space visited earth what advice would she give them?” I bought her book on the spot. Except that night, she, her husband, and daughter stood in their home holding each other and crying thankful that Daddy was still alive. I want Baby girl—my firecracker, my spark plug—to continue being the compassionate, talkative ,quick-witted, feisty, funny, smart child that she’s always been. Thought we’re not experts. I think my husband and I are doing a great job making this happen, especially considering all we’ve exposed her to, all the conversations we’ve had, and all the laughs we’ve shared. Yes, it was please meeting you. Thank you so much for your warm thoughts. Yes, feel free to the excerpt above. Wishing you well.